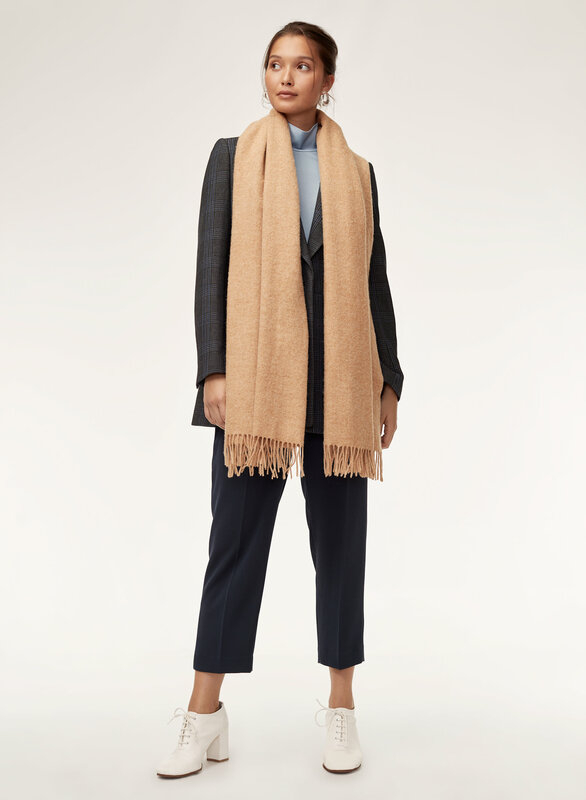 Styled with cheval turtleneck , essie pant and margaux blazer . Wrap it. Drape it. Loop it. 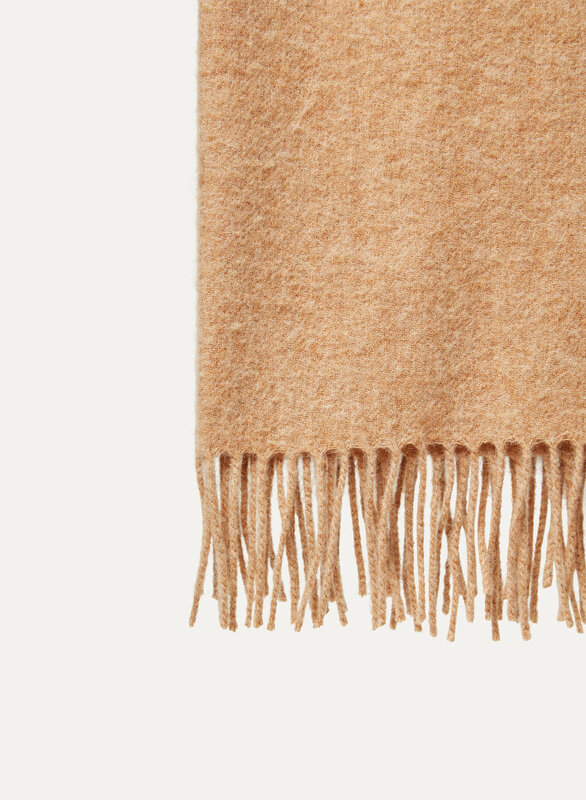 Woven with pure wool, the Classic has a soft, plush feel and a wide rectangular shape — wear it as a shawl or looped around your neck. Great staple but a little itchy! A really great long scarf. The perfect grey colour and it keeps you super warm! Only complain is that it is a little stiff/itchy. Love it! The cut, the colour, wow i love it. Couldn't take it off the moment I got it. They shed a lot，The style is great and I'm afraid he'll touch my light clothes! 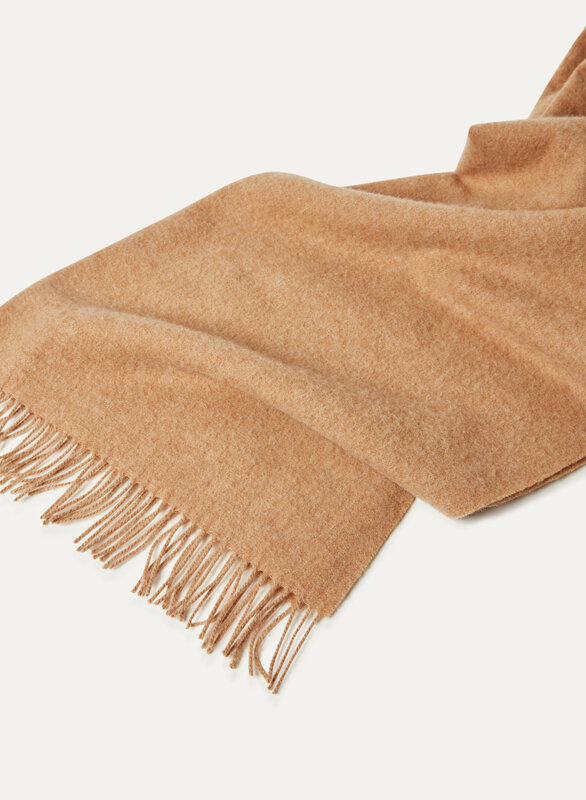 I absolutely love my classic wool scarf! 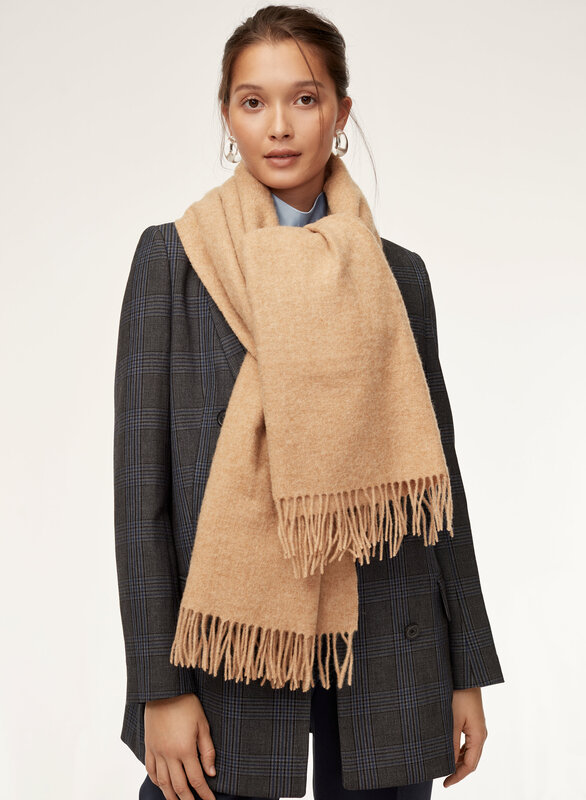 Big, neutral scarves have been surprisingly hard to find at a reasonable price range, and this one is the perfect combination of chic, simple and affordable. The material feels really nice, and keeps me very warm. I would definitely recommend purchasing this item before it goes out of stock because it's something that you can keep and wear for years. It makes me proud of my choice! I must say it is one of the best scarves I have. The gray colour is so rich and it goes with every colour. Love the oversize of it. Very cozy and elegant! Love this so much, got it in two colors. It's been a staple for me this winter season! Very happy I bought this. 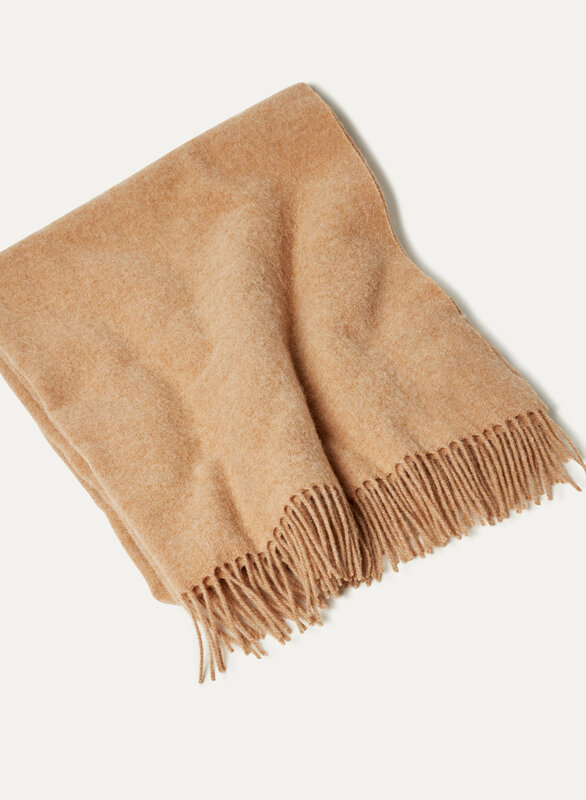 I live in Northern Ontario and it’s been keeping me warm- not only while I’m outside but I’ve also been wrapping it around myself like a shawl in cold buildings. Super warm! Longer than I thought, could double as a shawl maybe. I bought this scarf as a gift for someone. They loved it! It was a gift - she says she loves it! 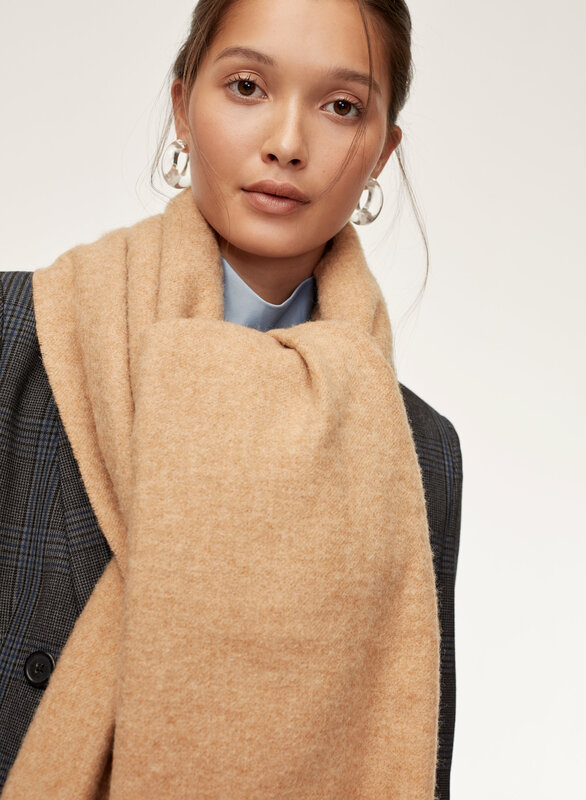 Stunning scarf but it sheds a lot, I got the grey and there was fluff all over my wool coat the first time I wore it, had to use a lint roller on it for a bit. 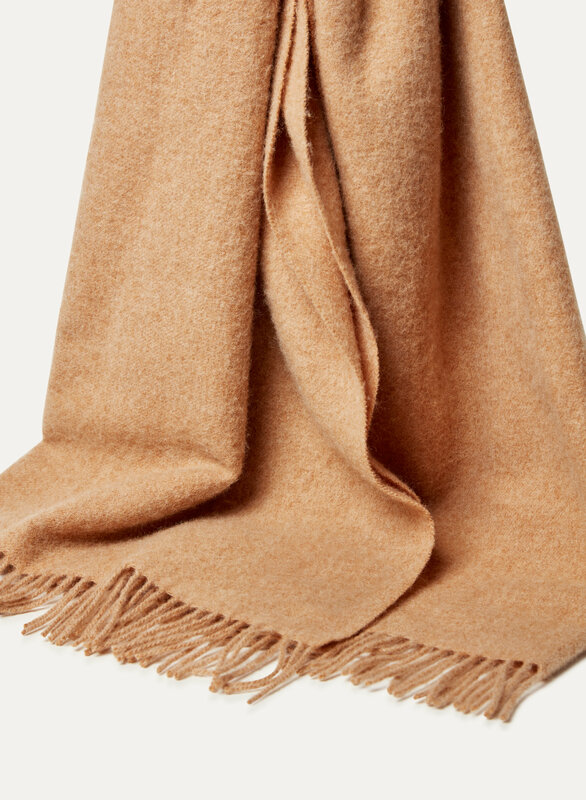 Otherwise it's the perfect over-sized scarf and extremely warm, perfect for winter. Love the colour. The fit is a bit large but its very warm. Love it! Its warm, not too big, and very soft! Its not scratchy, its warm and I love the color!